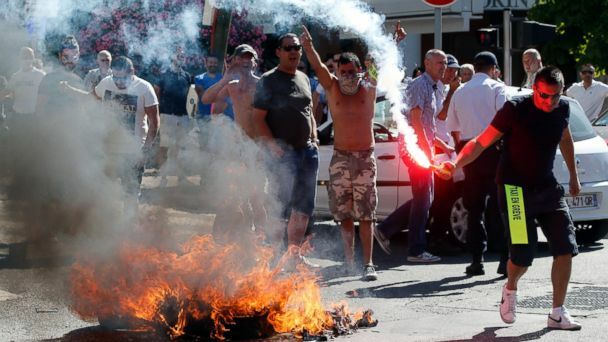 PARIS -- Paris officials announced a ban on UberPop after about 2,800 taxi drivers staged a strike across France today in protest of the ride-hailing app that resulted in numerous arrests and injured cops. In the middle of the strike today, customers were taken hostage by the conflict. Musician Courtney Love, on her way to Paris from the airport, tweeted: "they've ambushed our car and are holding our driver hostage. they're beating the cars with metal bats. this is France?? I'm safer in Baghdad"